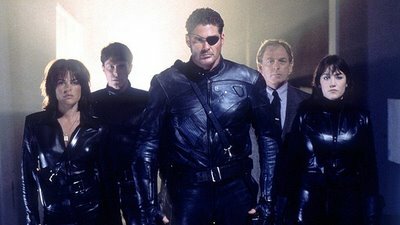 Today, I’m going to look at one of the most notorious pre-MCU Marvel comics adaptations: Nick Fury: Agent of SHIELD, starring David Hasselhoff. Marvel’s hard-boiled hero is brought to TV. 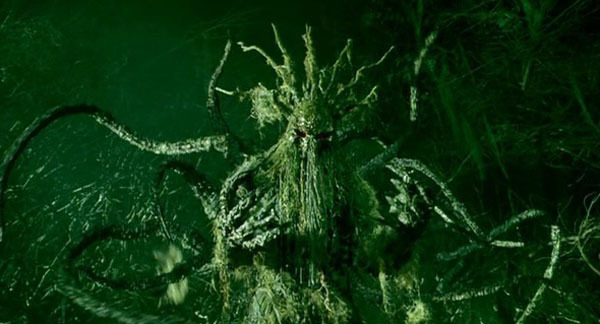 He is brought back to fight the menace of Hydra after exiling himself in the Yukon since the end of the Cold War. 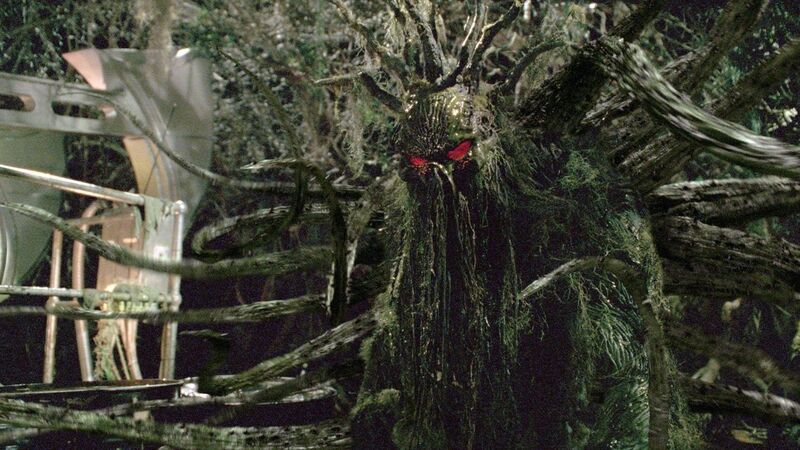 The children of the former Hydra head, Baron Von Stucker, have taken charge of the terrorist organization. Under the lead of his vicious daughter, Viper, Hydra has seized a deadly virus and threatens the destruction of America. The covert agency SHIELD brings Fury out of retirement to fight the terrorists. The character of Nick Fury was created by the legendary Marvel comics duo of Stan Lee and Jack Kirby. 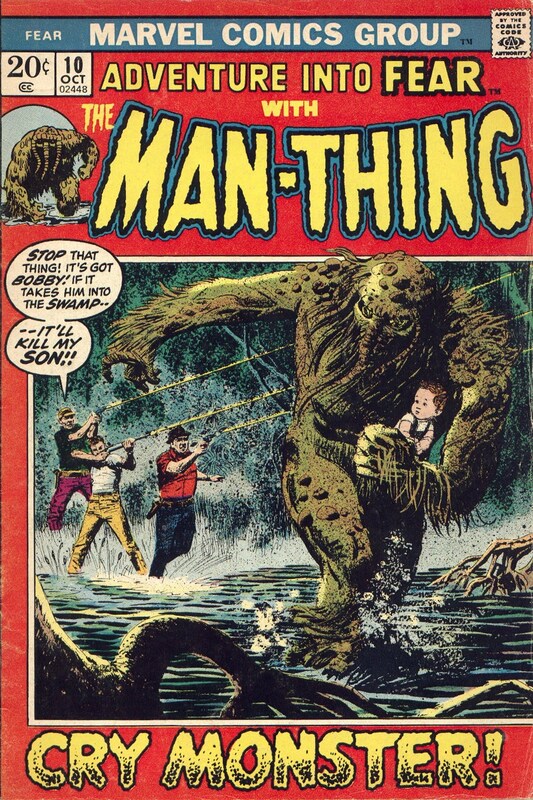 He first appeared in May 1963’s Sgt. Fury and his Howling Commandos #1, a World War II war series. However, his modern incarnation as a SHIELD secret agent and spy began with Fantastic Four #21 in December of 1963. Nick Fury: Agent of SHIELD was written by David S. Goyer, who is now a proven blockbuster screenwriter with credits like Man of Steel, Batman Begins, The Dark Knight, Ghost Rider: Spirit of Vengeance, Batman V Superman: Dawn of Justice, Dark City, and the Blade trilogy. Earlier in his career, however, he penned low budget flicks like The Substitute, Demonic Toys, Kickboxer 2, and The Puppet Masters. Nick Fury was directed by Rod Hardy, who did a lot of television work over his career, including stints on The X-Files, JAG, Burn Notice, Supernatural, The Mentalist, and Leverage. The central cast of the film is made up of television legend David Hasselhoff (Baywatch, Baywatch Nights, Knight Rider, Starcrash), Lisa Rinna (Days Of Our Lives), Sandra Hess (Mortal Kombat: Annihilation, Beastmaster 3), Neil Roberts (Charmed, The Second Civil War), and Ron Canada (Pinocchio’s Revenge, National Treasure, Cinderella Man). 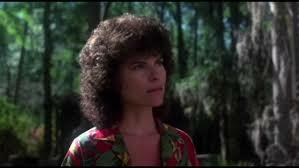 The editor for Nick Fury was Drake Silliman, who also cut Tremors 3, The Christmas Shoes, The Sisters, and did extensive editing work on television shows like Law & Order and Beauty & The Beast. The musical score for the film was provided by Gary Lionelli (OJ: Made In America, Luck, Dexter’s Laboratory, The Real Adventures of Johnny Quest) and Kevin Kiner (Star Wars: Rebels, Hell On Wheels, Jane The Virgin, Making A Murderer, Leprechaun, Carnosaur 3, Tremors 3). However, Lionelli’s work is interestingly not credited. A number of the prominent characters in Nick Fury: Agent of SHIELD have since appeared in the modern Marvel Cinematic Universe: Arnim Zola has been played by Toby Jones (Captain America: The First Avenger, Captain America: The Winter Soldier), Baron Strucker has been played by Thomas Kretschmann (Avengers: Age of Ultron, Captain America: The Winter Soldier), and Nick Fury himself has been played by Samuel L. Jackson (Avengers: Age of Ultron, Agents of SHIELD, The Avengers, Captain America: The Winter Soldier, Captain America: The First Avenger, Thor, Iron Man 2, Iron Man). 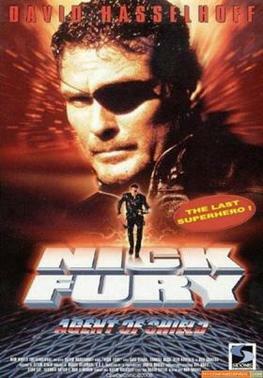 Nick Fury currently holds an unenviable IMDb user rating of 3.7/10, along with a 16% audience score on Rotten Tomatoes, and stands as one of the least-seen and most-reviled Marvel comics adaptations. To be perfectly honest, I’m not sure why Nick Fury is so reviled. Particularly thanks to David Hasselhoff and Sandra Hess, who are having an absolute blast hamming up their respective roles, I found this film to be a cheesy but entertaining throwback to classic spy-centric action movies, kind of like Escape From New York and the Roger Moore James Bond years in a blender. The low budget might not have done it any favors, but the action is still palatable, if a bit hokey in its execution. One of the odd strengths of Nick Fury is the consistently silly dialogue, which I think transcends the border into effective self-parody. I thought that this was a screenplay that was written with an awareness of its dated material, and used it to its advantage. Hess’s accented one-liners and Hasselhoff’s excessive “tough-guy” showboating all make a lot more sense if you look at the film through the lens of light parody and pastiche, rather than as an earnestly-constructed action flick. Likewise, the overly sentimental and unnecessary romantic subplot (acted out by a soap opera alum, no less) is hard to take seriously, specifically because it isn’t supposed to be. Nick Fury is without a doubt cheesy and cheap, but I also think that it is exactly what it should have been: a story aware of how misplaced in time it is, that revels in its genre cliches. 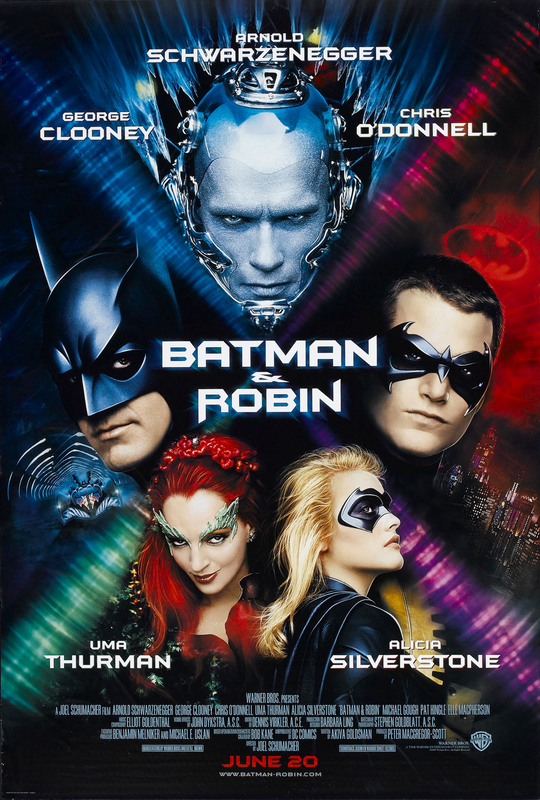 From what I can tell, a whole lot more people dislike this movie than have actually seen it, which is a damn shame. It isn’t a masterpiece by any means, but it is a fun send up of the sillier Cold War era spy thrillers. 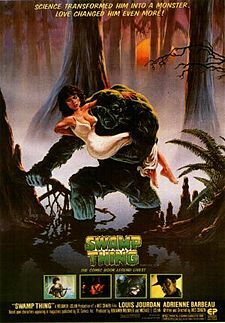 By today’s Marvel standards, it would be a massive disappointment, but at the time, this was probably one of their better outings (next to 1989’s The Punisher, of course, which is magnificent). If you can get into a cheesy action flick, I think there is something to enjoy with Nick Fury (provided you take it all with a grain or two of salt). For bad movie aficionados, this is one that is worth digging up in my opinion, and is in dire need of popular re-appraisal. 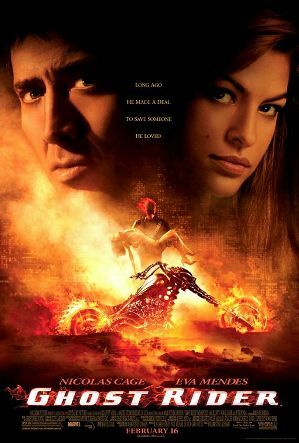 Today, I’m going to dive into the 2007 Nicolas Cage superhero movie, Ghost Rider. The modern incarnation of Ghost Rider first appeared in Marvel Spotlight #5 in August of 1972, created by Mike Ploog, Gary Friedrich, and Roy Thomas. 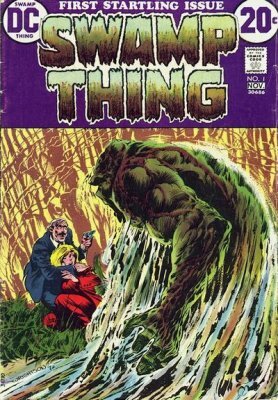 The following year, the character received a standalone title, and has been a staple of the Marvel universe ever since. Ghost Rider was written and directed by Mark Steven Johnson, who both wrote and directed the even less well-regarded Marvel film, Daredevil. He additionally wrote the screenplays for both of the comedies Grumpy Old Men and Grumpier Old Men. 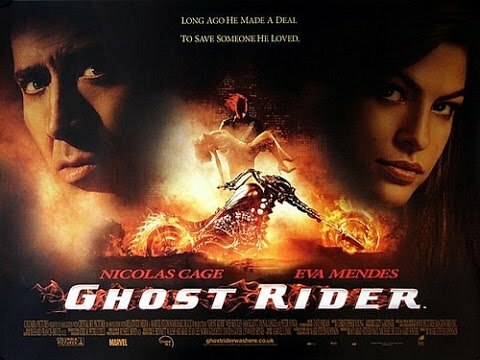 The cast for Ghost Rider includes Nicolas Cage (Con Air, Face/Off, Vampire’s Kiss, The Wicker Man, Left Behind, Snake Eyes, Bringing Out The Dead, Leaving Las Vegas, Adaptation. ), Peter Fonda (Easy Rider, The Trip, Boondock Saints II, Wild Hogs), Sam Elliott (Road House, Hulk, Tombstone, The Big Lebowski), Eva Mendes (The Spirit, The Other Guys, 2 Fast 2 Furious), Wes Bentley (Interstellar, Jonah Hex, American Beauty), and Donal Logue (Blade, Zodiac, Terriers, The Patriot). The cinematographer for the movie was Russell Boyd, whose list of shooting credits includes Liar Liar, White Men Can’t Jump, Master and Commander: The Far Side Of The World, Crocodile Dundee 2, and Doctor Dolittle. The editor on Ghost Rider was Richard Francis-Bruce, who also cut such films as The Green Mile, The Rock, Se7en, Sliver, The Shawshank Redemption, Mad Max Beyond Thunderdome, and Air Force One. The musical score for the film was provided by Christopher Young, whose other credits include The Core, Spider-Man 3, Swordfish, Drag Me To Hell, Rounders, Species, Copycat, and A Nightmare On Elm Street 2. The financial success of Ghost Rider led to a sequel in 2011: Ghost Rider: Spirit of Vengeance, which once again starred Nicolas Cage in the lead role. However, in May of 2013, the film rights to the character reverted back to Marvel Studios, which effectively ended the franchise as it existed. There are no current plans for Marvel to bring the character back to the big screen, though an iteration has appeared on the television show Agents of SHIELD. Nicolas Cage is apparently a huge fan of the Ghost Rider character, and actively lobbied for the part when he heard that it was casting. He even had to cover up a prominent Ghost Rider tattoo on his back in order to play the character. Interestingly, Ghost Rider was the first time Cage played a comic book character, despite being an outspoken fan and collector of comic books (his stage name of Cage is taken from Marvel character Luke Cage). 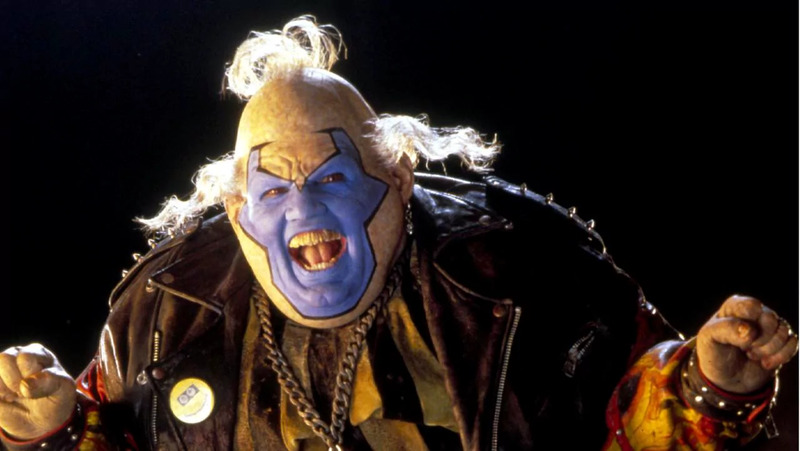 Famously, he almost played Superman in an ill-fated Tim Burton attempt to bring the character to the screen, which was recently chronicled in The Death of Superman Lives. Sam Eliott’s character in the film, The Caretaker, is based on the original incarnation of Ghost Rider, which is now referred to as The Phantom Rider. This character was more of a western hero: he distinctively rode a white horse, and wore a glowing, phosphorescent mask and uniform. 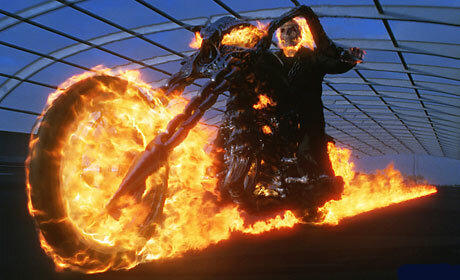 The pre-production for Ghost Rider surprisingly dates back to the mid-1990s. However, numerous delays and personnel changes kept the film from being completed for roughly a decade. 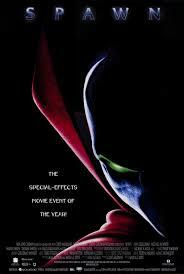 An early screenplay treatment for the flick was apparently cooked up by David S. Goyer, who is known for films like The Dark Knight, Man of Steel, and Blade, and wound up getting credited for writing the film’s 2011 sequel. In front of the camera, Eric Bana and Johnny Depp both nearly wound up filling the role of Ghost Rider over the years, and Jon Voight was attached at one point in a supporting role. 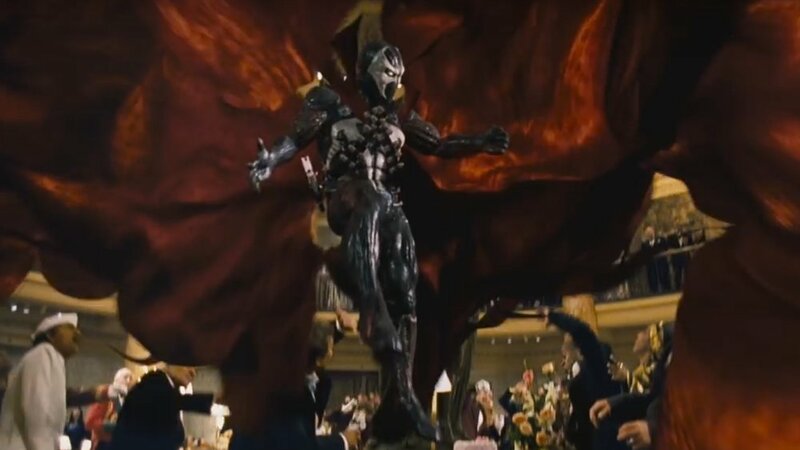 Nicolas Cage received a Golden Raspberry Award nomination for Worst Actor for his role in Ghost Rider, which he ultimately lost out on to Eddie Murphy’s performance in Norbit. In a strange move, part of the promotion of the film involved the character of Ghost Rider appearing in a Jackson Hewitt commercial, in which a representative helps him fill out his taxes. The newfound attention brought to the character by the film’s production led to a significant dispute over the ownership of the character. 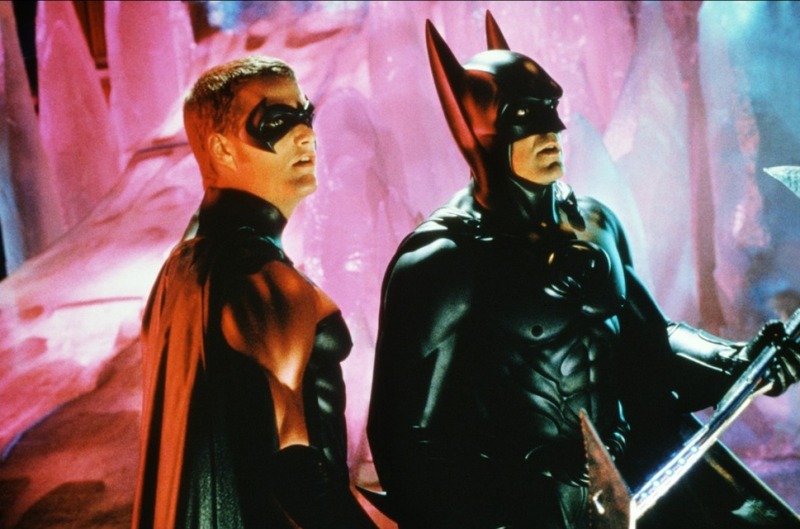 One of the original creators, Gary Friedrich, claimed that the rights to the character reverted to him in 2001, which led to a lawsuit and a long-running legal battle with Marvel and the studios involved in the film, which didn’t formally resolve until September of 2013. 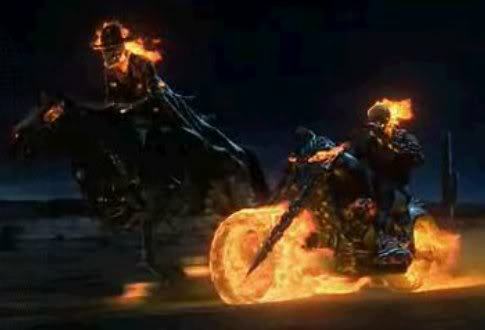 Ghost Rider was made on a production budget of $110 million, on which it took in a lifetime theatrical gross of roughly $228.7 million between domestic and international markets. 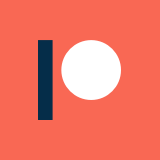 While this made it a financial success, it didn’t do nearly as well critically. Currently, it holds an IMDb user rating of 5.2/10, along with Rotten Tomatoes scores of 26% from critics and 48% from audiences. There is no way to talk about Ghost Rider without first addressing the national treasure that is Nicolas Cage. It is hard to deny that Cage is consistently a barrel of fun with his over-the-top performances, but he took a lot of criticism for this role in particular. Not only did he take a lot of flak for being too old for the character, but much was made of a scene where he appears to have CGI abdominal muscles. While that sequence is definitely a bit suspicious, my biggest issue with Cage in this movie is that he isn’t quite unchained enough for what I wanted. Outside of his initial transformation, Cage is really subdued in his performance for a man with his head on fire. He is still erratic and fun to watch, but not quite to the degree that I would have hoped for. Even if you believe that the casting of Nicolas Cage was a bit off-base, it is hard to argue that the casting of Sam Elliott as his predecessor wasn’t pitch perfect. For the role of a lone-retired vengeful ghost cowboy, Sam Elliott couldn’t have been a more apt choice to play the part. In fact, one of the biggest weaknesses of the film is how little screen time his character gets. In most films like this, his role would have been as a trainer and guide for the protagonist. Instead, he is more of an informant than anything else, and doesn’t do much direct teaching. It is unfortunate, because it would have been cool to watch their relationship develop in spite of their clashing personalities, but that was not to be. Perhaps the biggest criticism widely leveled at Ghost Rider is its extensive use of CGI, which was less that stellar at the time, and has aged very poorly. Unfortunately, I think the nature of the characters that the story was dealing with didn’t allow practical effects to be much of an option. However, the CGI didn’t have to be quite so ubiquitous: the fact that it is seemingly present in every scene makes the movie as a whole look cheaper and more artificial. CGI is best used as a background tool, but it has a more prominent place in this movie than most of the performers. One of my personal gripes about this film is its unimaginative and paint-by-numbers screenplay. Nearly everything that happens is predictable, in a way that is even more flagrant than your average blockbuster screenplay. Not only that, but some of the dialogue borders on sounding like genre self-parody, like the mugger saying “give me your damn purse, lady!”. Overall, Ghost Rider is a fun enough little blockbuster that it doesn’t feel like a waste of time, but it is certainly not good by any means. The character design and his bike are both fun to see on screen, but the effects spoil a lot of the coolness factor there. I still think it is worth catching for Cage and Elliott, but the film as a whole isn’t much to write home about. As far as a recommendation goes, I think Ghost Rider is worth sitting through if you see it pop up on cable, or you just need some background noise to occupy your time. Apart from that, this isn’t something that should specifically seek out, unless you are a die-hard Nic Cage completionist. Today, I’m going to delve into the infamous first attempt to bring the comic book team The Fantastic Four to the big screen: 1994’s The Fantastic Four. The superhero team The Fantastic Four was created by famed comic book masters Stan Lee and Jack Kirby, and first appeared in The Fantastic Four #1 in November of 1961. Since then, the team has been a mainstay of Marvel comics, and has made the jump to cartoons, video games, and a number of movies. The screenplay for this film adaptation was credited to Craig J. Nevius (Black Scorpion) and Kevin Rock (Howling VI, The Philadelphia Experiment II). The director for The Fantastic Four was Oley Sassone, who helmed numerous episodes of the television shows Xena: Warrior Princess and Hercules: The Legendary Journeys. 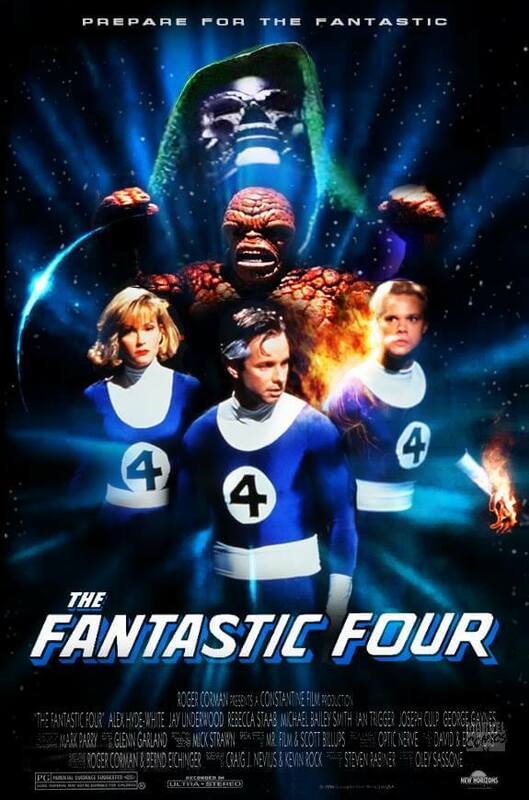 The cast of The Fantastic Four includes Jay Underwood (The Boy Who Could Fly, Uncle Buck), Rebecca Staab (The Substitute 3, Love Potion No. 9), Michael Bailey Smith (Men In Black II, The Hills Have Eyes), Joseph Culp (Mad Men), and Alex Hyde-White (Pretty Woman). The editor for The Fantastic Four was Glenn Garland, who has gone on to become Rob Zombie’s go-to film cutter. His credits include 31, The Lords of Salem, Bunraku, The Devil’s Rejects, Retroactive, and both of Rob Zombie’s Halloween movies. One of the executive producers for the film was Roger Corman, the legendary b-movie producer and director. As legend has it, he was given a small budget, and the job of throwing together a Fantastic Four movie as quickly and cheaply as possible, so that the rights to the property could be retained for another ten years. Thus, in many ways, The Fantastic Four is considered his creation, and is often referred to as Roger Corman’s Fantastic Four. 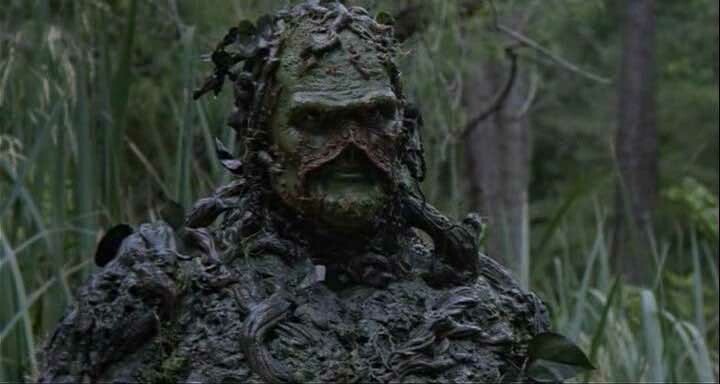 One of the special effects makeup artists for the movie was Everett Burrell, whose other credits include Castle Freak, Re-Animator, Troll, Ghoulies, DeepStar Six, Harry and the Hendersons, Pan’s Labyrinth, Hellboy, and Creepshow 2, among others. The production designer for The Fantastic Four was Mick Strawn, who has served as a designer and art director on such movies as A Nightmare On Elm Street 4, Kazaam, The Hidden, and Candyman. In 2015, a documentary by the name of Doomed! 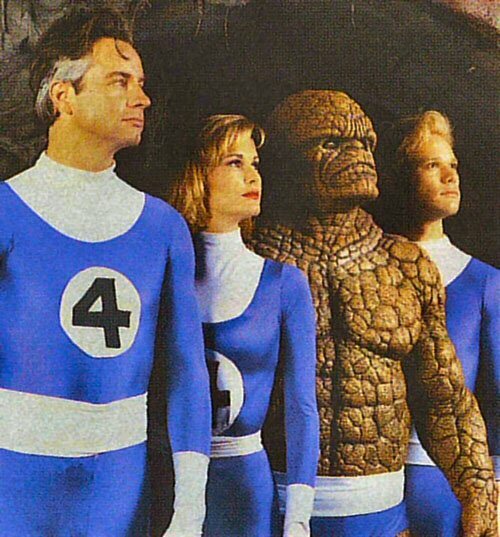 The Untold Story of Roger Corman’s The Fantastic Four was released, which detailed the story of the movie’s bizarre production, non-release, and ultimate cult status. Including this iteration, The Fantastic Four has been put to film four times. The other attempts, 2015’s Fantastic Four, 2005’s Fantastic Four, and 2007’s Fantastic Four: Rise of the Silver Surfer, all met with mixed to negative receptions, leading to a popular belief that there is no way to make a Fantastic Four film work in this day and age. The hit comedy television show Arrested Development has a recurring, thinly veiled reference to the production of this film that runs throughout the show’s fourth season. One of the main character creates a musical adaptation of an unfinished Fantastic Four movie from the 1990s, in an attempt to circumvent rights issues with Marvel. Because the movie was never formally released, people only managed to hear about it through word of mouth, and see it on unfinished bootleg tapes. Still, the film’s reputation got around. Currently, it holds an IMDb user rating of 3.9/10, alongside Rotten Tomatoes scores of 29% from critics and 27% from audiences. Personally, I think that there are a whole lot of things to like about this flicks. 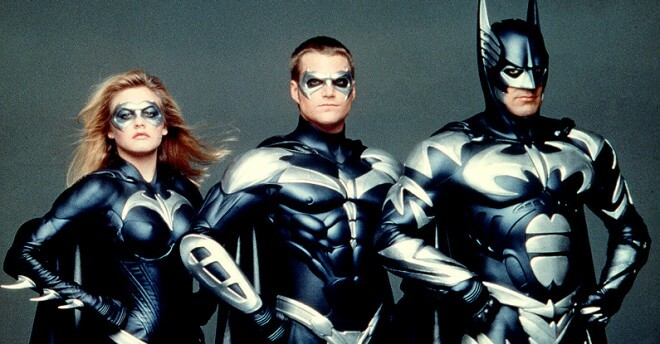 The costumes, for instance, look pretty great, and are delightfully faithful to the group’s comic book origins. They may be cheesy and somewhat goofy, but that sort of gels with what this particular hero team has always been. Likewise, the performances and writing are generally pretty good here. All of the key players put in performances that suit their characters, are there aren’t any weak links among them. In particular, I’m a big fan of Dr. Doom in this movie: he way be an over-the-top mustache-twirler, but that is exactly what I wanted from the villain in this movie. The biggest issues with the film relate to its financial limitations and time constrictions. The effects, for instance, are inarguably cheesy and cheap. Likewise, the audio isn’t great for some of the dialogue, which isn’t so strange for a movie that was never quite finished, and not meant for consumption. Regardless, I think these issues give the movie an added, curious charm, so it hard to fault the movie for them. The Fantastic Four is certainly no masterpiece, but it may be the most loyal and genuine Fantastic Four movie that the world will ever see. For fans of the property, it is worth checking out. More importantly, though, this is an absolute gem of a feature for bad movie fans: the performances are goofy, the costumes and effects are cheap, and there’s a great behind-the-scenes story to tie the whole thing together.